Lee Edwards – North Kent and South East London Carpet Cleaner. 01474 745995. Bone-Dry Carpet Cleaning - Gravesend owner, Lee Edwards, says. My name is Lee Edwards and I am an award winning carpet cleaner. I own and operate Bone Dry carpet cleaning and upholstery cleaning. The business is based in Northfleet near Gravesend, North Kent. The dry compound system I use to clean carpets is the most thorough method of organic carpet cleaning available. 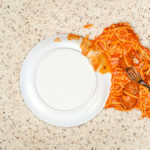 This means that, once clean carpets have zero drying time. There is no waiting for hours or even days for carpets to dry and because we do not use solvents, chemicals or detergents it is organic carpet cleaning. 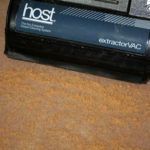 Dry carpet cleaning is the only system system suitable for all forms of carpet. 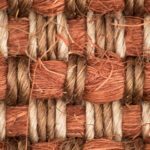 I can can clean synthetic, wool, sisal, coir , silk and all other natural fibre carpets. 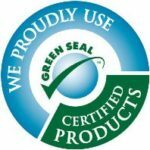 I believe that we are the best carpet cleaners who operate the most thorough dry organic extraction cleaning system. Commercial or domestic carpet and upholstery cleaning. Cleaning of natural flooring, sisal, seagrass, coir etc. Carpet and fabric protection using Intec or Fibre Shield products. Stone floor and grout cleaning. 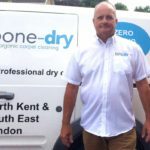 Bone-Dry carpet cleaning Gravesend operate in and around North Kent and SE London including Gravesend, Dartford, Bexley, Sidcup and all surrounding towns and villages. For a truly excellent dry carpet cleaning and upholstery cleaning service please do not hesitate to contact me. For more information or a free no obligation quote, no hard selling just an honest first class service. As an additional service I also provide a low moisture upholstery cleaning service too. For more information call me on 01474 745995. 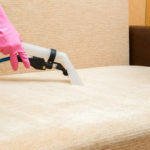 Regular carpet and upholstery cleaning help reduce dust allergens and, can often, provide relief to allergy sufferers. Tests conducted by a group led by Berry in the USA showed that the regular cleaning of carpets helped students increase their attention levels and overall standards once the carpets were cleaned and the air quality subsequently improved. Bone-Dry carpet cleaning Gravesend offer up to 15% discount off carpet cleaning and Intec stain guard protection when this webpage is mentioned. Dry Carpet Cleaning with zero drying time the Bone-Dry way.